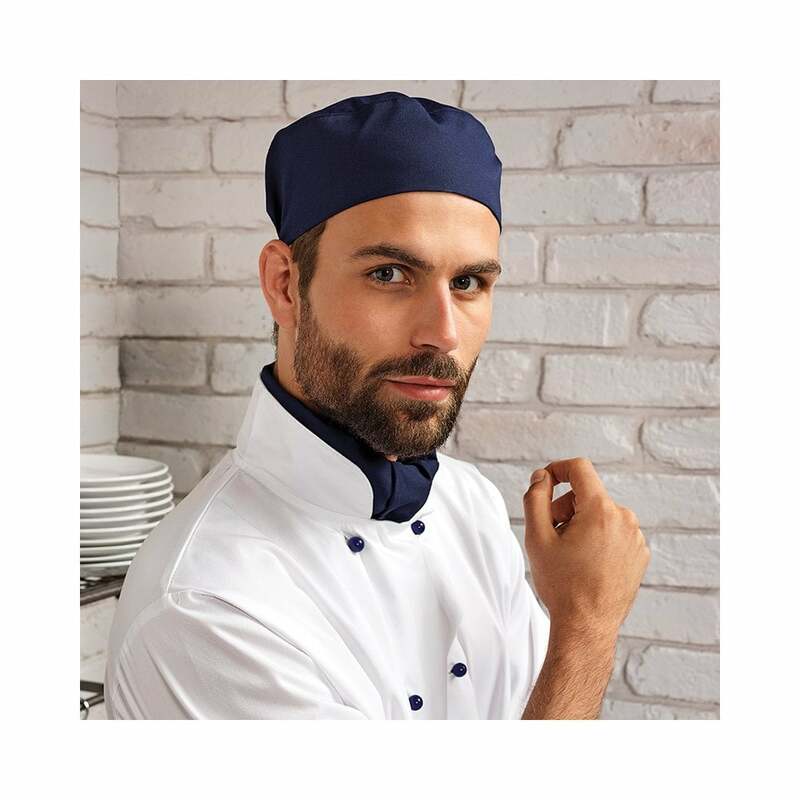 Premier Chef's Skull Cap this is made from a durable polyester and cotton twill and can be laundered domestically. It has a flat top, elasticated back and it is crease resistant. A great choice of colours available.